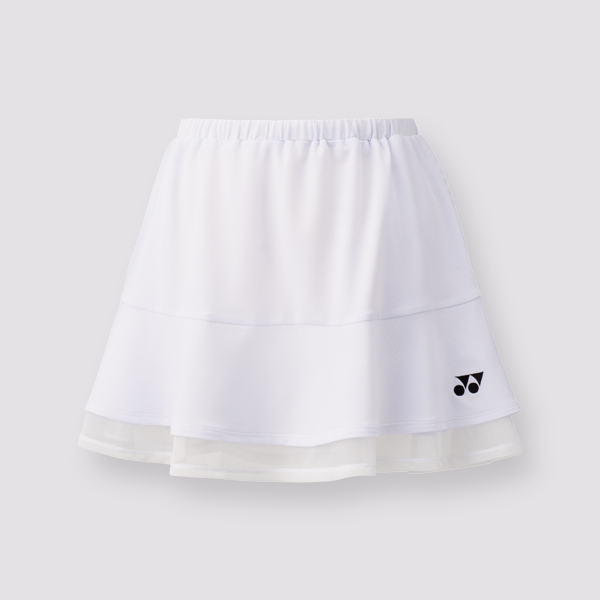 The Yonex 26025EX Skort is different to the majority of skorts as the inner-shorts are not connected to the actual skirt itself, allowing you to wear the skirt on top of leggings or on its own. The price of the skort includes both the shorts and the skirt. Yonex clothing intercepts infrared radiation and approximately 92%* of ultraviolet, minimizing heat build-up in clothing during play.The material in our clothing that provides high stretch has been made even lighter, allowing for a comfortable fit and smoother movement, no matter how aggressive your game is. Material:Body Materials: 90% Polyester, 10% Polyurethane/Other Material: 100% Polyester/Inner Shorts Materials: 90% Polyester, 10% Polyurethane. Do you own the Yonex Womens Skort 26025EX White?